Raised on the mean streets and back lots of Hollywood by a Yoda-look-alike grandfather, Aisling doesn’t conform, doesn’t fit in, is epic awkward, and lives to perfect a deep-seated oppositional defiance disorder. In a constant state of fascination with the trivial, Aisling contemplates such weighty questions as If time and space are curved, then where do all the straight people come from? When not writing, Aisling can be found taming waves on western shores, pondering the nutritional value of sunsets, appreciating the much maligned dandelion, unhooking guide ropes from stanchions, and marveling at all things ordinary. Aisling lives, most of the time, on the West Coast of the United States. 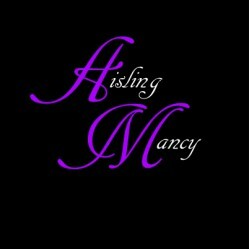 Aisling writes science fiction, adult fantasy, and adult romance. You can also read Aisling’s Young Adult novels at C. Kennedy.